The API Integration Leaders AMA (ask me anything) webinar series takes an inside look at how 8 integration leaders design their entire API strategy. 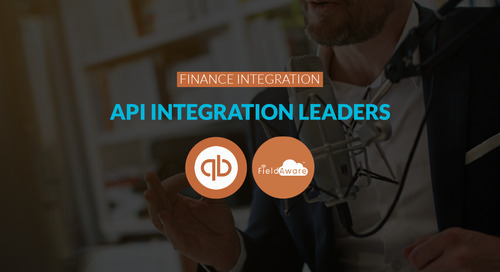 API Integration Leaders Talk Show series featuring finance integration experts, David Leary, Sr. Developer Evangelist at Intuit QuickBooks and Andy Murphy, Director of Product at FieldAware. 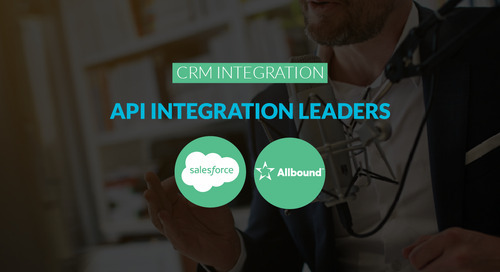 API Integration Leaders Talk Show series featuring CRM integration experts, Kris Chant, Developer Relations at Salesforce and Kyle Burnett, CTO & Co-Founder from Allbound. 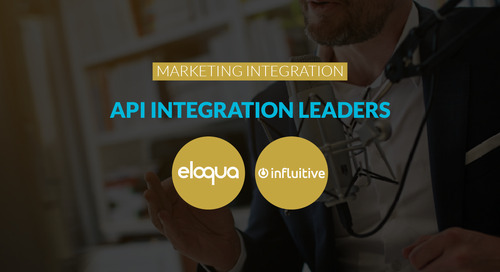 API Integration Leaders Talk Show series, featuring marketing automation integration experts Chris Campbell, Group Product Manager at Oracle Eloqua and Steve Organ, Sr. Product Manager at Influitive. API Integration Leaders Talk Show series, featuring e-commerce integration experts Oren Harris, Apps Team Onboarding Lead at Shopify and Jennifer Kessler, CEO and Co-Founder at Bizzy.